Fifth generation total etch bonding system in a convenient single bottle application. 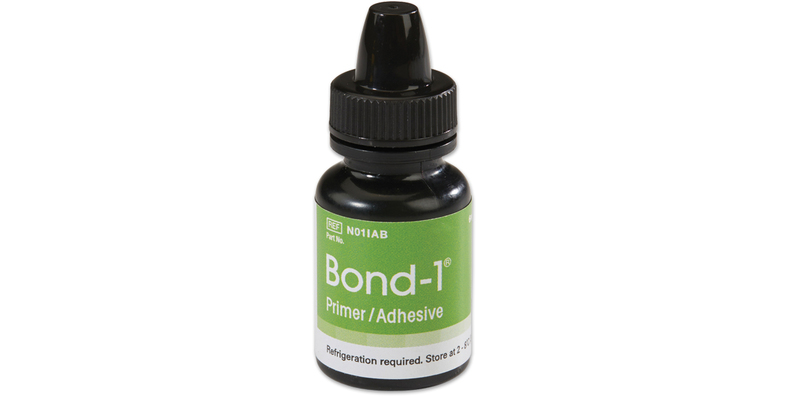 High bond strength - up to 31MPa - with a film thickness of only 8μm offers a universally ideal bond surface. Contains: 2 x 5ml syringes, 20 x 22 ga. needle tips. Contains: 1 x 4ml primer/adhesive, 1 x 3ml dual-cure activator, 2 x 5ml syringes 37% etch gel, 20 x 22 ga. needle tips, 50 disposable applicators.